THE ROAD TO KHALISTAN: FRANCE LIFTS TURBAN BAN? This just came into my inbox. I'll post further details as they arrive. I don't know how complete this about face is. Does it include just official document pictures, such as driver's licences and passports? Or is it trule meaningful and our sons can go back to school? 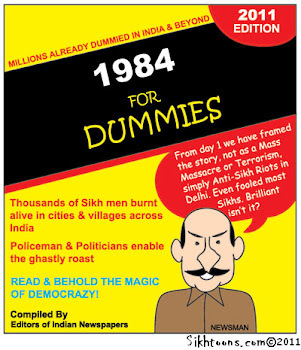 Has Manmohan Singh finally done something more useful than apologising for the 1984 Delhi Pogrom/Massacre/Genocide/Battle? Further information as I get it! 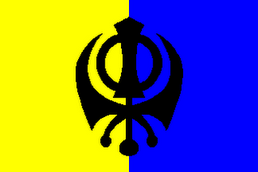 Remember besides being Sikh, I am also 3/8 French...and so I find it doubly annoying when the French act like fools. India. 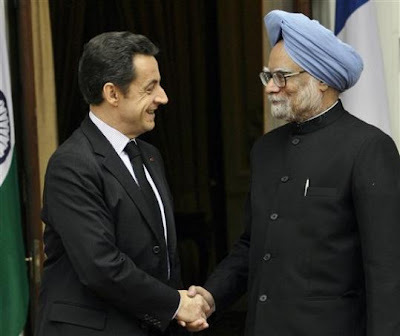 This accorded a good opportunity for our Prime Minister to introduce Indian culture to the French President. Maulana Wali Rahmani praised Prime Minster Manmohan Singh on his courage that he did not hesitate in considering it his official duty to represent Sikh’s religion; without being apologetic of being Sikh he himself and strongly recommended that Prime Minister’s example should be followed by political leaders of other communities too. With the reference to freedom of religion and culture, Maulana Wali Rahmani in his letter drew Prime Minster’s attention toward the arbitrary willfulness of courts regarding the interpretation of Sharia Law. He appealed to Prime Minister to use his authority to stop the court’s schemes undermining the religious and cultural identification of Muslims and Muslim Personal law.